If you live anywhere with running water, then your home is always at risk of water damage but there are a few things to check you can make sure you can avoid the devastating aftermath of water damage. If your home is located near a body of water like a river or ocean, then your home is more vulnerable to water damage caused by flooding of those bodies of water. If your home is located at the bottom of a hill where rain water runs down, your home may also be prone to flooding. If you live in a place that has cold, snowy winters, always keep the heat turned up high enough to prevent pipes from freezing. 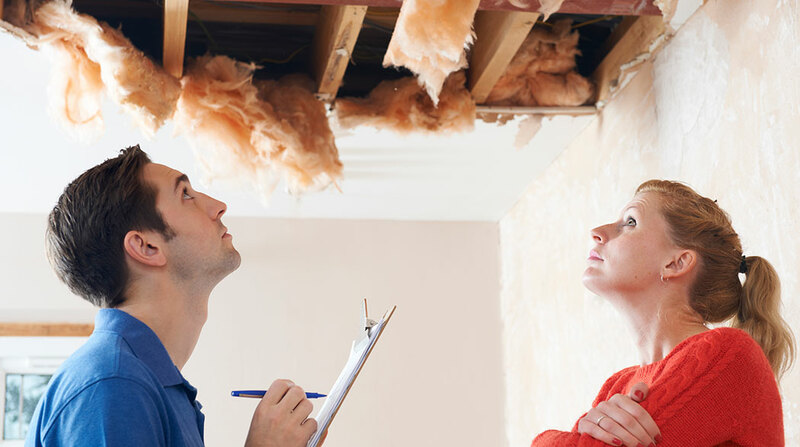 After surveying the outside of your home for potential risks of water damage, take a look indoors. When was the last time hoses were replaced on your washing machine and dryer? These hoses only last 3-5 years and if they break the flooding can be disastrous. Check underneath the sink. Do you have a line to an ice maker or dishwasher? These also should be replaced every couple of years to avoid flooding in the kitchen. The bathroom is also a very vulnerable place in your home for water damage. Beware of those hoses again. Ones that run to the toilet or sink could let go. If you have curious kids that look to experiment using your plumbing, you want to make sure you are prepared if a sink is left running or a toilet is clogged. Down in the basement near the boiler and the water heater is also a good place to keep an eye on just in case of malfunction. Make sure you do a check your home every year to for the status of all the plumbing in your home. You may want to invest in water sensors and water shut-off that will automatically shut off your home’s water supply and be notified of leaks or flooding right when they occur. To checkout our water monitoring and flood prevention solutions, click here.